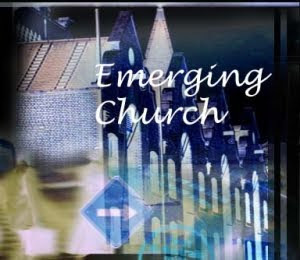 It was only a couple of years ago that I first heard the terms "The Emerging Church" or the "Emergent Church." To be honest, I still have only a vague notion of what these terms mean. However, I have received scads & scads of comments, both pro & con as to what they represent. I mention all of that, because I am actually trying to come to my own conclusions on this matter. I'm reserving any "Total" judgments, because I have yet to find most issues so black & white. #3. From what I have been able to gather at this time, this whole movement is so big and broad that trying to give it an easy definition is simply sloppy scholarship and/or laziness. It's like trying to define Europeans, the Protestant Reformation, or "Asian" food in a paragraph. Thus far, I have seen some people who are very faithful to Jesus, historical orthodoxy and the Bible, but they really, really want to reach out in new ways to this younger generation who is turned off by what they see in Americanized Christianity. ANYWAY, I did come across a few videos that I think help illustrate just how broad this whole discussion is. This first one is of Dan Kimball. He works at a church out in Southern California. He likes Rock-a-Billy and surfing. So he can't be all bad. It's a long video, but worth it. Dan Kimball // The Emerging Church from Todd Rhoades on Vimeo. Now honestly, I have no idea how anyone could be upset with him or his ideas. He respects and honors the truth of scripture. He desperately wants people to follow the resurrected Jesus. What more do you want? Then we have another fellow named Doug Pagitt. I actually went to school with him. I don't know his story, but I know that he went through some type of "Challenge/Crisis of Faith" after his time at a local mega-church. I haven't read any of his stuff yet. The videos are rather vague, but I'll let them speak for themselves. And now for Tony Jones. From what I can tell...at this point, is that if Dan Kimball is on the more conservative edge of the moment, then Tony is on the opposite edge. I'll let him do his own thing now. Last but not least, here is a PBS mini-documentary that I think does a very good job being even handed. So there you have it. 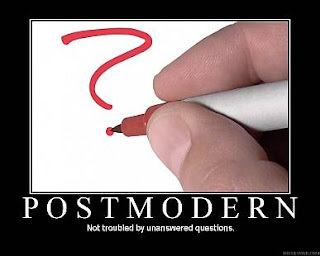 A gigantic movement with some great stuff in it, and some really dumb stuff in it...kinda like the way the church has always been.